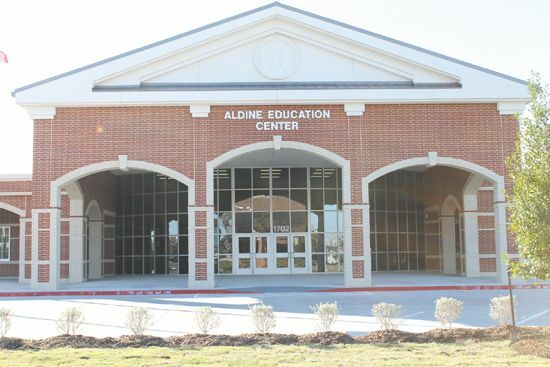 Aldine ISD will open its newest educational facility on January 19 when the Aldine Educational Center (AEC) opens its doors. The 109,000 square-foot facility is located on Aldine Bender Road across the street from the M.O Campbell Educational Center. The new facility, built with funds from the 2007 bond referendum, will provide services for students in grades 2-12. The staff will oversee three separate programs; GAP, the district’s Alternative Education Center (formerly COMPASS) and Tier 1. Principal James Metcalf is excited about the state-of -the-art facility and believes the new surroundings will be a big benefit to Aldine students who experience behavioral issues. Metcalf said AEC students will have access to outstanding technology at their disposal. Every classroom has built-in projection monitors, a computer center, and individual student Chrome books and iPads. “Instruction at AEC will move to its highest level of technology with the use of building-wide Wi-Fi and each instructional program has the best educational software programs our vendors have to offer,” Metcalf said. AEC will offer its students Schoology, McCraw-Hill on-line textbooks, Brainpop, Edginuity and an Aldine on-line library featuring AISD’s best teachers who will present lessons in all academic areas. “Technology is booming with our youth today, and AEC plans to ‘boom’ right along with them,” Metcalf said. The AEC will have its own cafeteria, library and gym. In addition, high school students will have their own wing on one side of the building, while elementary, intermediate and middle school students will have their own wing on the other side of the building. Metcalf added the AEC will have a state-of-the-art technology for instruction and safety. Metcalf said after spending years in modular buildings at their former location on Lauder Road, he and his staff are quite excited about the move to the new building.